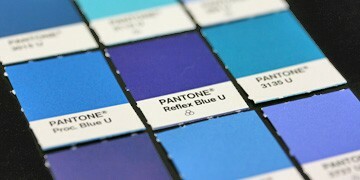 Pantone’s “Reflex Blue” is one of the popular, pure blue colors in the PMS system. It’s actually quite popular in corporate branding – and I’ve had 3 or 4 clients use it as their primary blue because it’s just that . . . pretty much straight up, pure blue. But it lacks one thing . 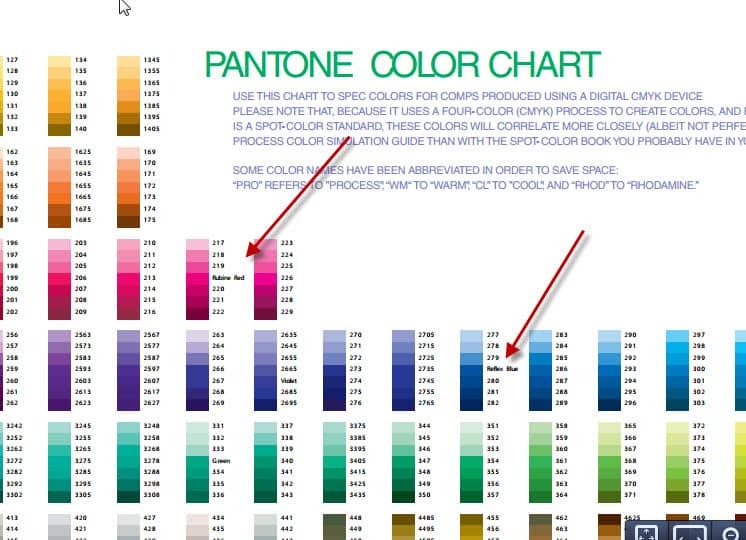 . . the typical 3-4 digit PMS reference number like most of the other Pantone colors. It recently threw off a client’s vendor, as their Package Printer’s new print management system required all of their PMS colors to be input with the numeric code only, so they got stuck when we sent over the Package Design artwork with “Reflex Blue” in the color palette. Curiously, I’m not sure why they would NOT assign a 3-4 digit code to such a universally accepted system that otherwise uses numbers to assign colors. I guess maintaining name-only recognition trumps keeping with a standard numbering system. PMS Color Chart showing two of only a small handful of PMS Colors that are not referenced by a number. Reflex Blue is one of the primary mixing colors used to make other pms colors.